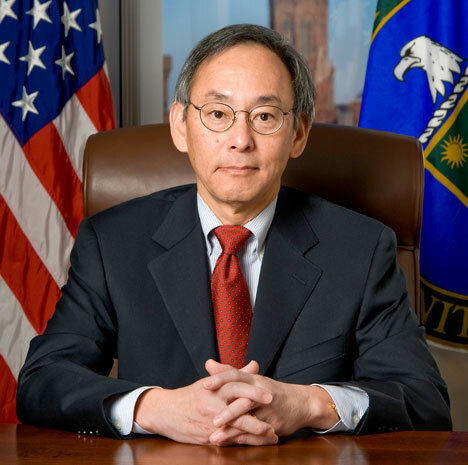 I'm unlikely to ever win a Nobel Prize, but today I have something in common with the 1997 winner of the prize for Physics, Energy Secretary Steven Chu. Like me, Dr. Chu believes Flying Lessons can and should be applied elsewhere, starting with the oil industry. "We have over the last half century developed procedures which are different from what I've seen in this industry," Dr. Chu said on Wednesday while suggesting oil could learn a lot about safety from aviation. "One doesn't have to reinvent a lot of things." You've got that right Dr. Chu. I'm preparing to be interviewed for a Discovery Channel series on aviation disasters tomorrow, and as I review my notes on various airplane accidents, I'm reminded of just how much progress has been made in the design of the machinery and the practices that seek to optimize human performance. Why oh why haven't these lessons been applied outside aviation? Well, I've speculated about that in previous blogs which you can read here and here. So let's take a look at some of the weaknesses in offshore oil drilling cited by Secretary Chu, as reported in today's Miami Herald. I promise, you don't need to be a physicist to follow along. The buzz phrase "absence of government oversight", has of course been tossed around since the April 20, 2010 explosion on the Deep Water Horizon drilling platform that killed 11 workers and began the spill of nearly 5 million gallons of oil into the Gulf of Mexico. "I don't think there was a absence of government oversight but there was inadequate oversight. The oversight was inadequate for the level of hazards being encountered in this environment." The Federal Aviation Administration is a $9 billion dollar agency with aerospace safety its top priority. Say what you will about how well it does its job - some days better than others - but more than a decade ago, the agency shed its role as a promoter of aviation because of the inherent conflict. But at the Department of the Interior which oversees domestic oil production, the promotion of offshore oil drilling remains part of the mission. Less than one month before the Deep Water Horizon explosion, Interior Secretary Ken Salazar was talking about "expanded development" and oil production in new areas, including the eastern Gulf of Mexico. I don't know if the separation of these conflicting roles is necessary, but one thing's for sure, analyzing the risks, hazards and necessary safety systems cannot be done by the oil industry alone. Tom Anthony is director of the Aviation Safety Program at USC. He saw the disconnect between the oil industry and aviation on the subject of safety from the start. There's a direct correlation between oil development and aviation, he told me. "They are both operating in a hazard-rich environment." More than new regulations will be needed to bring oil up to the safety standards of aviation. "What needs to be in place is a formalized process whereby those people in position of authority can analyse the facts, the hazards and costs and make a reasoned, responsible judgment on what is acceptable and what isn't." That's what Tom calls the second wheel. What's the first? A comprehensive effort to identify and quantify hazards. Its only by taking this top down aproach that the other items on Dr. Chu's list can be addressed. For example, the secretary cited BP's faulty industry response plans, a lack of redundant systems and a challenging operating environment. But to me, these items are too grainular. 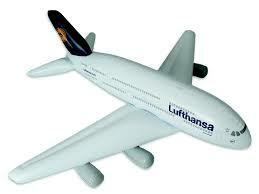 The kind of safety managment system airlines are required to have take into account those nettlesome issues and more. But Dr. Chu has had an ah-ha moment and aviation safety specialists are cheering him on. Let's hope he, Salazar and everyone else on the guest list to develop an oil industry safety strategy for the future turn to aviation to get the lesson right. FYI, earlier this year I did some work with the Association for Crime Scene Reconstruction, to show them how they might apply some new developments in transportation accident investigation tools to their work. Ideas are still percolating. Well, let the Guys who make more money taking more risks - at least in the short run and that's how CEOs do think - decide upon how much risk they should take and see what happens. It is exactely the same in the Airline Industry. Safety is a matter of society and therefore the risklevels must be defined by the State (or regulator) not by the Industry. If it comes to financial risks only (and not for lives) the decisions can be left to the operators. Thanks for this opening up great topic. In fact this is one of the issues I will talk about in my book too. Very briefly, Safety is a state of mind. No amount of regulation or oversight will work if the state of mind is not correct. Like you can tell a guy that he will slip, fall and break his head if he walks on wet floor, but if he responds with "No, I have done it all my life" there is little you can do prevent him from getting injured. So, why is aviation industry doing better in safety standards than other industries? The answer lies in the fact that aircraft accidents are very visible and make good news! A bus full of 50 or 60 passengers has an accident, killing all...does not make news headlines...but an aircraft crashes, and it makes headlines even if no one was killed! The truth is that Aviation is the only industry whose very survival depends on how safe the people preceive it to be...and note, the catch word is "Perceive"...it does not matter how safe or dangerous it actually is, but how it is perceived by the general public that must choose to travel by air for the industry to survive. That is the answer and the reason why this industry takes such visible and proactive measures towards safety and why the attitude of senior management is generally in the right direction, thereby translating to budgatary support for safety measures. I can tell you about my own experience: When I decided to write a Ph.D. thesis, I found this as a promising field: Getting lessons from the aviation to be applied in management. I was very surprised to see that the interest in this came precisely from the aviation and not from business management. Actually, when I published my book "Improving Air Safety through Organizational Learning", Ashgate asked me to suppress the two last chapters of the thesis, precisely those related with the application of aviation learning to different fields. Now, another surprise: Actually, aviation and other fields share the learning model. Simply, some fields can be more pressed to learn than others. Aviation has its own learning problems and, certainly, these problems could point to the ones that other fields are going to confront in the next future. You mentioned that the FAA shed its promoter role in 1996, but this is a common misconception. What happened was that the Valujet 592 crash pressured Congress to get rid of this "dual mandate" (protecting safety + promoting aviation) but it actually neutered this change by deleting "promoting" and replacing it with "encouraging." ...I'm not quite sure there is much of a difference. In addition, the conference committee did not seek the FAA to undergo any organizational changes as a result. "The managers do not intend for enactment of this provision to require any changes in the FAA’s current organization or functions. Instead, the provision is intended to address any public perceptions that might exist that the promotion of air commerce by the FAA could create a conflict with its safety regulatory mandate." Thus, the dual mandate problem still persists to this day at the FAA. Thanks for your coverage of aviation!